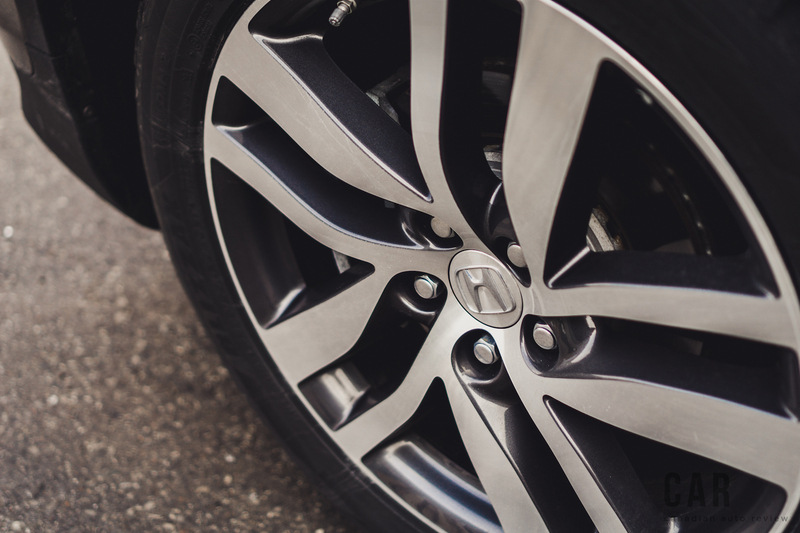 The 2016 Honda Pilot has done just that. 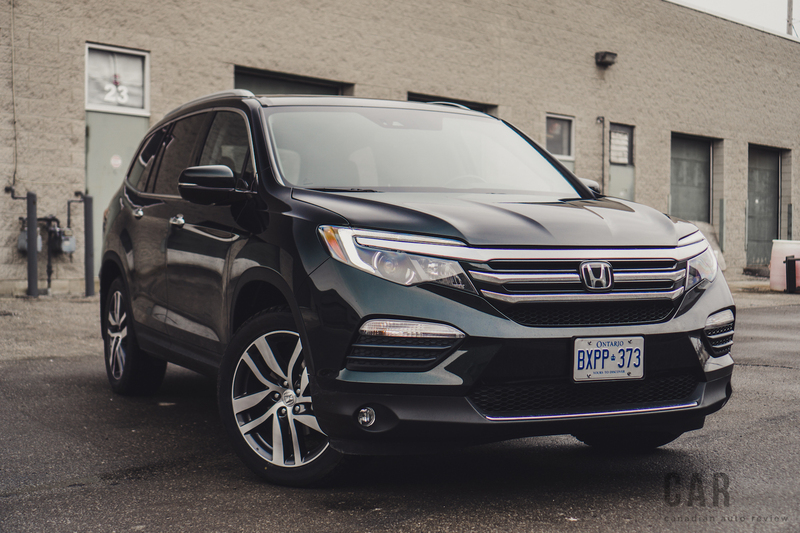 At one time, driving a Honda Pilot meant to consumers that family friendliness, copious amounts of cargo room and station-wagon like handling were more important than having a truck-like SUV. When it was first released in 2003, the Pilot won over many hearts by being one of the first three-row crossovers, and it smashed Honda sales records to boot. However, in 2008 there was a shift in the Pilot’s success. The boxy external physique, cheap interior, and pathetic fuel economy gave the Pilot a hampering chance in the increasingly gentrified market. This second generation would be produced for another long six years before plans of the current and third generation were laid down. 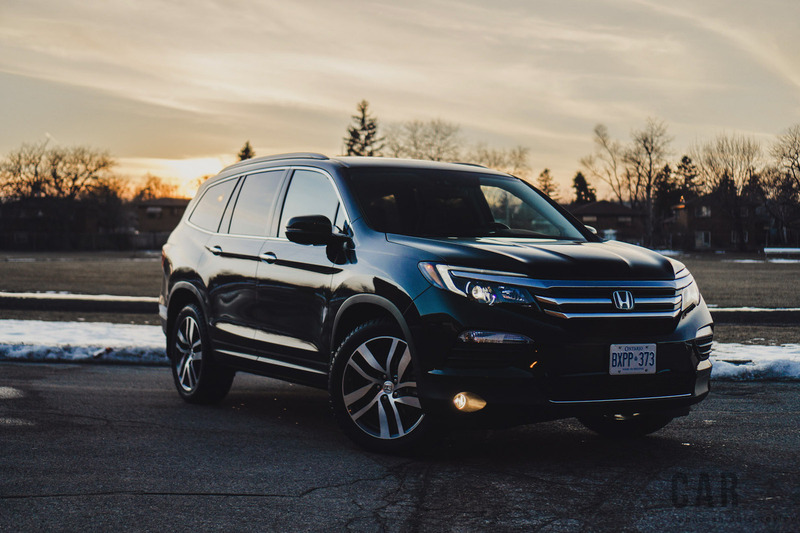 It seems Honda has returned to form, and has restored balance to the equilibrium they first set out with the inaugural Honda Pilot. The new Pilot is bigger, a lot bigger. It has been stretched lengthwise to 4,941 millimetres, a 93 mm increase. It also looks and feels more premium as well. The styling is now reminiscent of its smaller sibling, the Honda CR-V. Oddly, the rear three-quarter angle is the best looking side, closely resembling a Mercedes-Benz GL-Class. Although the Pilot is beefier, you would not be able to tell if it were put on a scale – it is now over 130 kg lighter than its predecessor. 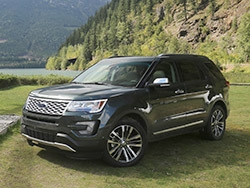 The larger exterior also provides ample amounts of greenhouse visibility all the way around, which is great for a full-size SUV. The A-pillars are also very narrow, providing fantastic frontward visibility as well. 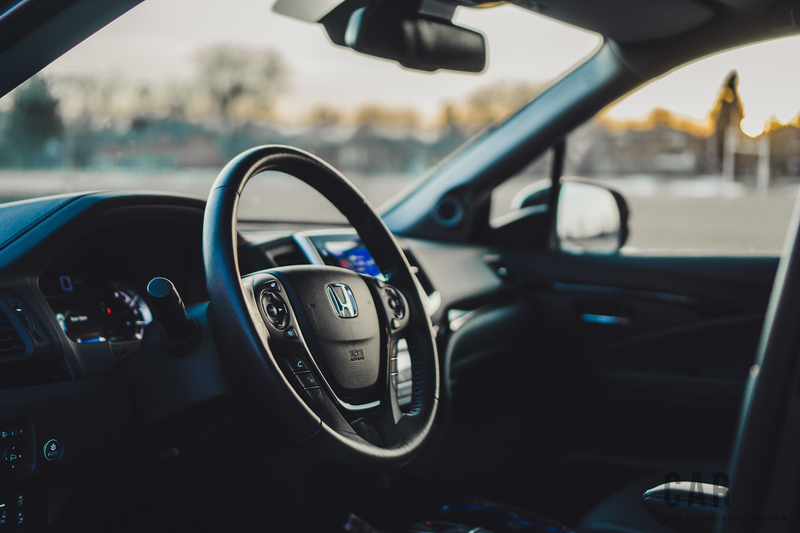 Unlike competitors, the Pilot can be had in a variety of eight different trims, and you do not have to buy the top-trim just to be able to enjoy niceties like forward collision mitigation, lane departure warning, and all the other bits that are part of the “Honda Sensing” package. These are all available on the EX trims and up, as well as the LX-Honda Sensing model that starts at $39,490. All trims come standard with a new 3.5-litre Earth Dreams V6 motor that duels out 280 horsepower along with 262 lb-ft. of torque. 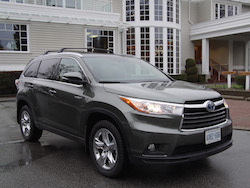 Gone is the tragic and inefficient 5-speed unit that loomed all the way to the 2015 model year Pilot. 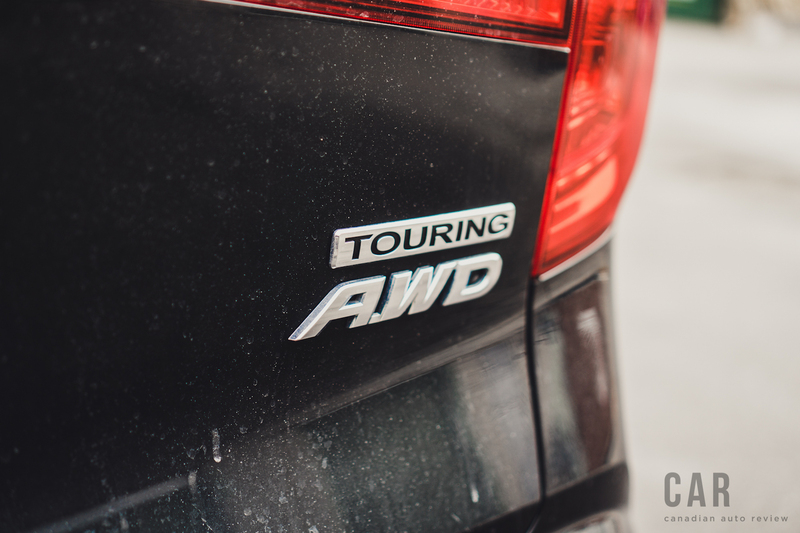 Now, the 6-speed variant is standard, along with a 9-speed automatic that is featured exclusively in the Touring model. 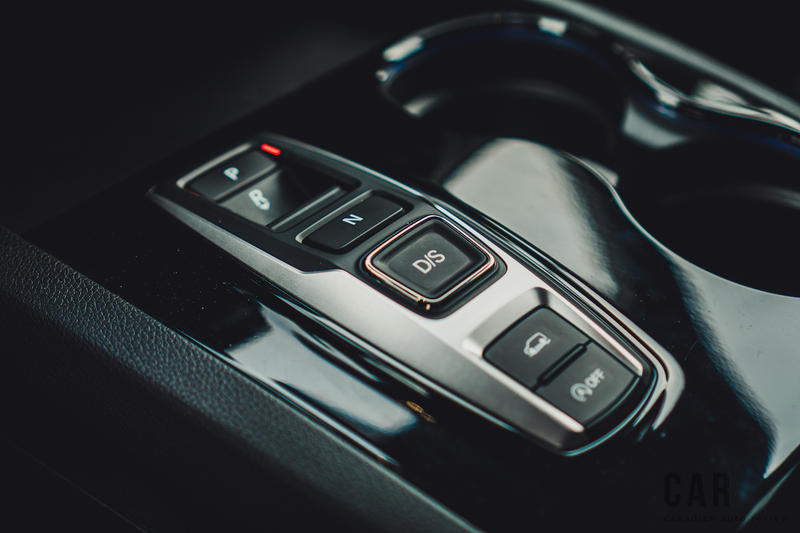 The nine-speed comes equipped with a push-button shifter that looks as if it’s been ripped straight out of an Acura TLX. 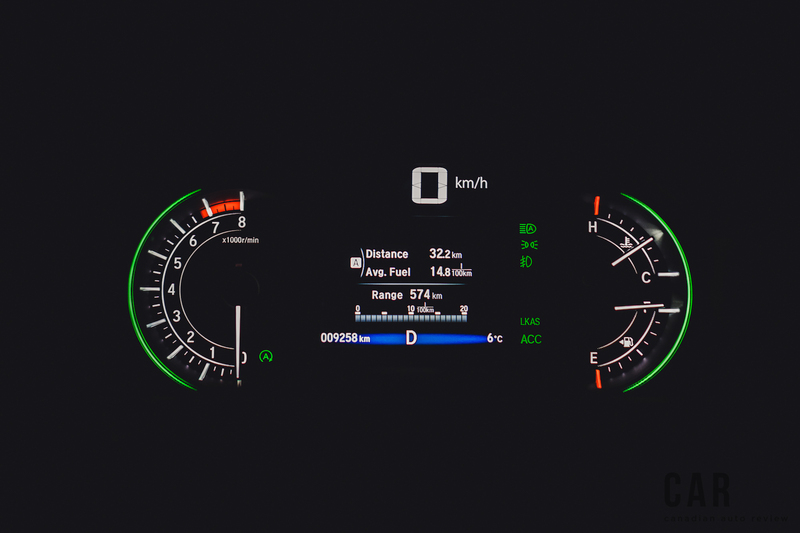 It was somewhat of a mixed blessing: fuel economy improved drastically but shifts were often very lethargic at low speeds, and switching from reverse to drive and vice versa was very unintuitive. Unlike the last Honda Pilot I drove, this model was sipping politely on gas instead of gulping it down like a 19 year old experiencing his first alcoholic binge night. I averaged 11.9 L/100km during my test week. For reference, I got 15.1 L/100km in the older model. This is due to a host of reasons. For one, the aforementioned 9-speed transmission kept revs low, an ‘Econ’ button dulled the throttle response, and an auto start-stop system shut off the engine while stopped at traffic lights. 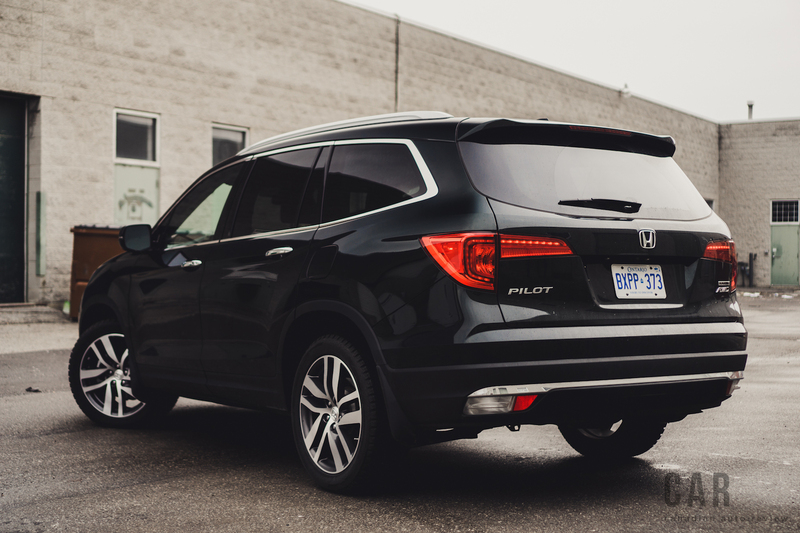 For the first time ever, I dared to use the word “quiet” to describe the Pilot—at least this is true on the top of the line Touring trim, which does benefit from additional sound-deadening measures. Even at highway speed, the Pilot exhibited Lexus-like levels of quietness. 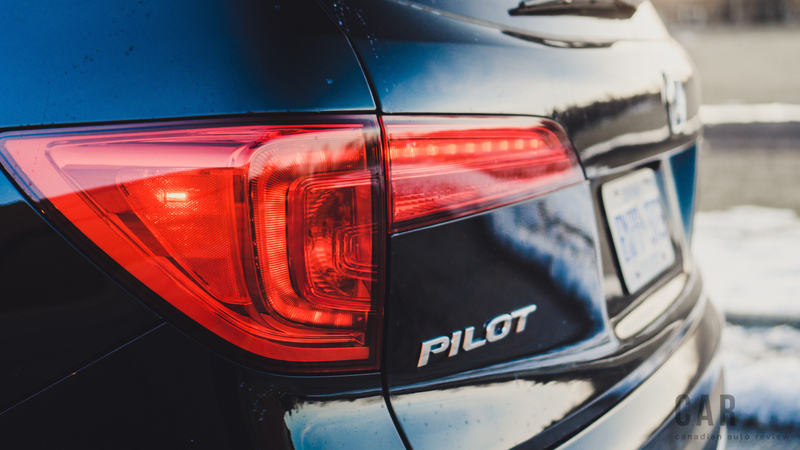 Don’t expect sporty reflexes from the Pilot, however. 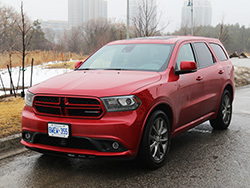 Not only does this SUV look like it should be named the “H.M.S Pilot” but it also steers like a dreadnaught. Agility is unfortunately not a part of the equation like it is in the Hyundai Santa Fe and the Toyota Highlander. While the suspension does its very best to soak up bumps in the road, ride comfort is not exemplary. 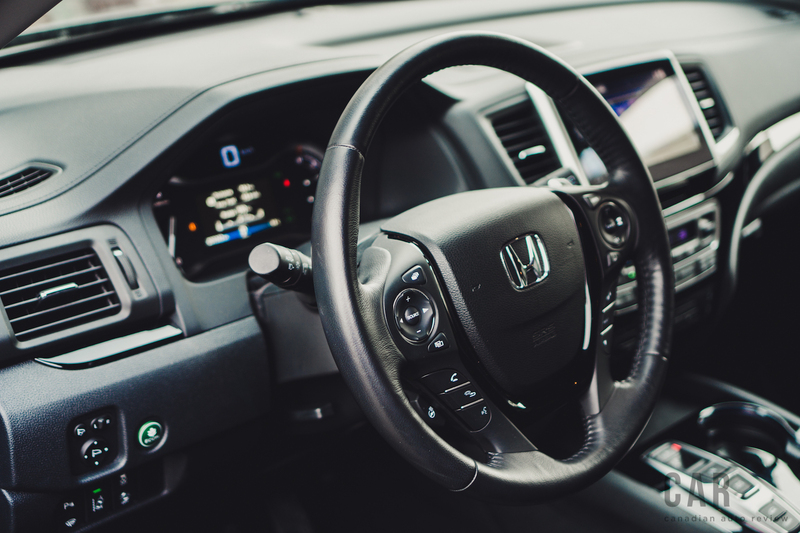 Inside, the Honda Pilot is decked out with a plentiful amount of soft-touch materials and nice attention to detail. The sliding centre console top reveals massive amounts of storage space, and I was hard pressed to think of anything I couldn’t fit inside of this bigger Pilot. Yet, the main focus of the interior is geared for people sitting in the last two rows. The Touring model features a large panoramic moonroof that dwarfs the front row’s sunroof. The heated 2nd row is a pleasure to sit in too, and the captain’s chairs can slide forward or back to give you more than enough leg room when watching your favourite movie on the 9-inch display. All of this comes part of the very intuitive Honda Blu-Ray entertainment system that also gives users wireless headsets and a remote control. You can truly have the at-home experience even while on the road. 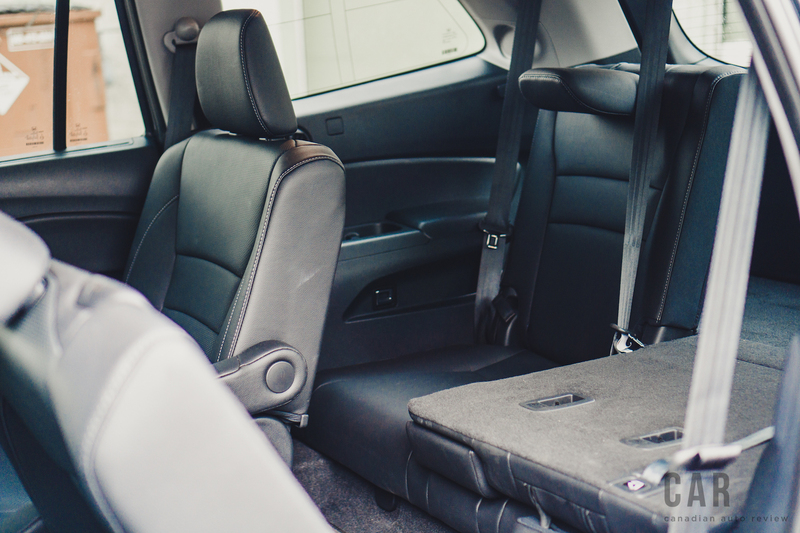 While the Touring model does come loaded with equipment, it can be a little overwhelming for drivers at first. 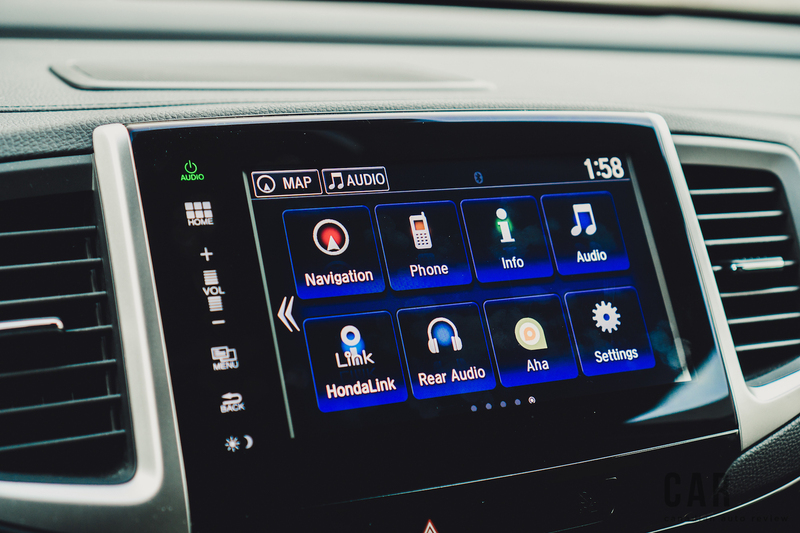 The last model had more buttons than the Space Shuttle Endeavour, and even though this new model is devoid of normal knobs and buttons, figuring out the logic behind the system is not as intuitive—a common complaint I’ve had with other Hondas and Acuras in the past. 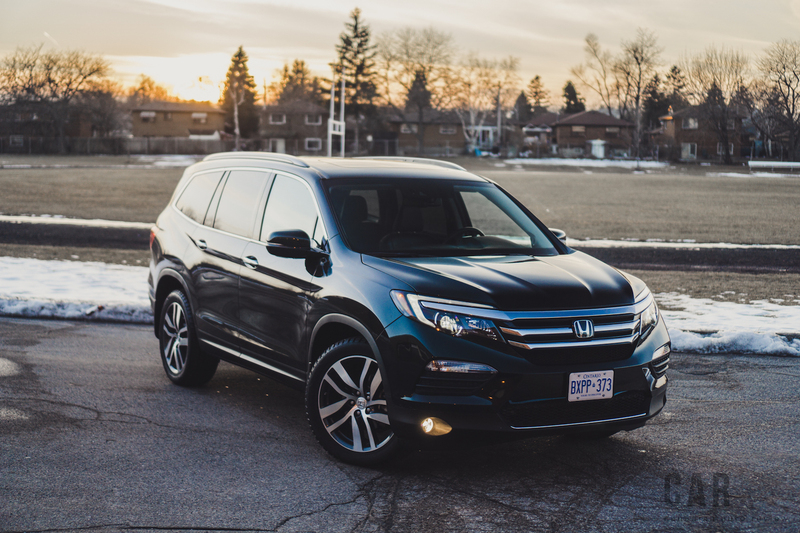 There is no question that this Pilot is a shift away from the “Ghost of Honda Pilot’s past”, and is a representation of Honda’s passion to come full circle. The Pilot is what I would consider an active player that has reestablished itself among big players in its market segment. 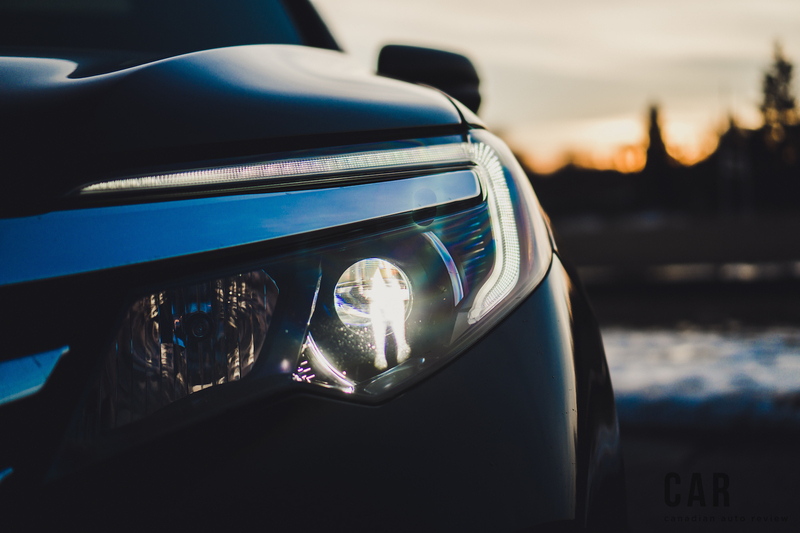 The combination of utility and SUV comfort is the Pilot’s strong point, but buyers should also be aware of its strong asking price. 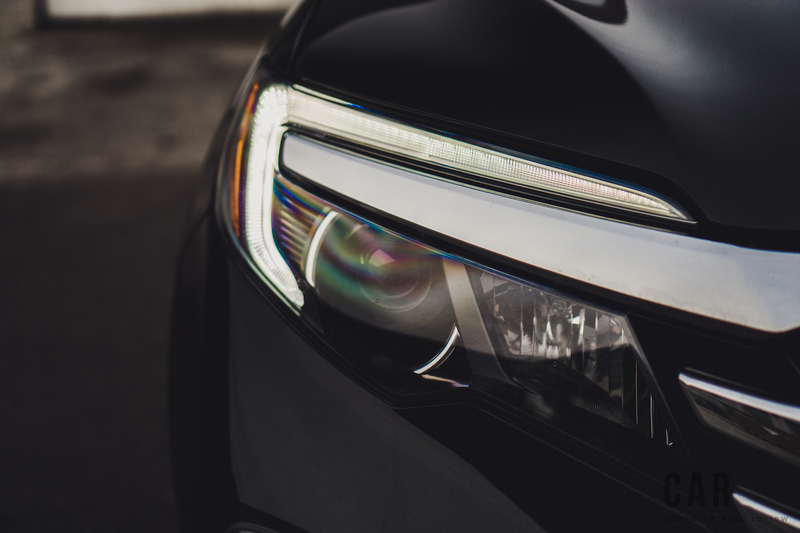 Tipping over the $50,000 mark can rub some people the wrong way but luckily for them, there are eight other trim levels to choose from, and you don’t have to sacrifice a lot in order to save a buck. 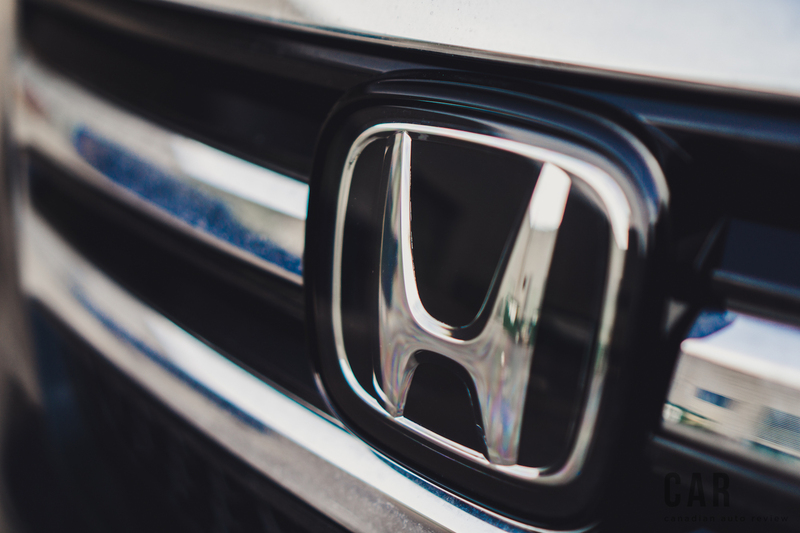 But still, for what the Pilot means for Honda moving forward, I wish it was more rewarding to drive. That, for me, would restore the equilibrium, and only then would I be able to justify spending that kind of capital for a family hauler.